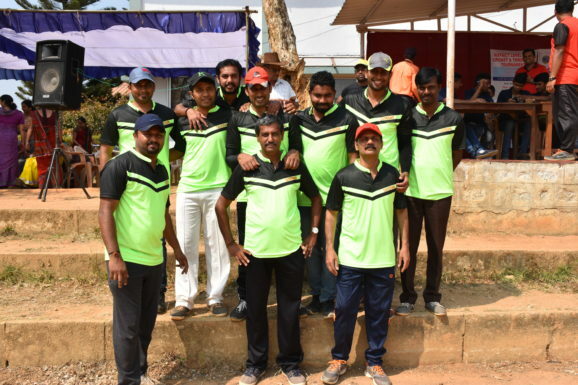 Cauvery College , gonikoppal organized Inter Collegiate Staff Cricket and Throwball Tournament on 10th and 11th of Feb , 2018 . F.M.K.M.C College , Madikeri both men and womens team emerged as Champions in both events. Cauvery College,gonikoppal womens teams ended up in second place in throwball and Cauvery College , virajpet ended up as runners in cricket event.